Page titles are an important, but often overlooked, part of achieving success with your SEO efforts. When used correctly, they can help you achieve greater organic search visibility and higher clickthrough rates for your website. Here are a few tips on how to optimize your page titles and improve your SEO. A page title (or title tag, as it is also referred to) is the HTML element that acts as the title of a webpage. It is the clickable blue text that appears on listings in Google SERPs (search engine results pages). Users and search engines use the page title to understand the content and purpose of a webpage. It is one of the many factors used in Google's ranking algorithm, which is why you'll want to spend a little time and effort optimizing title tags. As you create, update, and optimize your website's page titles, here are a few best-practices to keep in mind and some tools that may help. 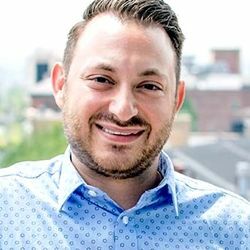 Mike Canarelli is a co-founder and the CEO of Web Talent Marketing, a full-service digital marketing agency based in Lancaster, PA.